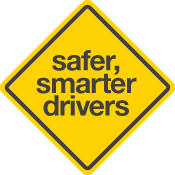 Understanding road risks, perceiving hazards and responding appropriately is essential to safe riding. Scanning the road environment and recognising hazards allows riders to respond and avoid crashes by slowing down and/or shifting your position on the road. This motorcycle rider hazard simulation allows you to practise your hazard perception skills. Read the safe riding section of The Rider’s Handbook before you begin. You can practise the Motorcycle Rider Hazard Simulator here. Find out about the Hazard Perception Test to graduate from a learner’s permit to a P1 provisional licence here.